The article says our “colonial history means dining in Bermuda is a blend of British, French, Caribbean, Portuguese, and early American influences — a crossroads apparent in local specialties like kicky red fish chowder. “That same colonial history means plenty of rum drinks, including the bracing, gingery dark and stormy. And then there’s the fine dining on pink sand beaches, like at Cafe Lido [pictured]. They forgot the Italians, they will be upset! 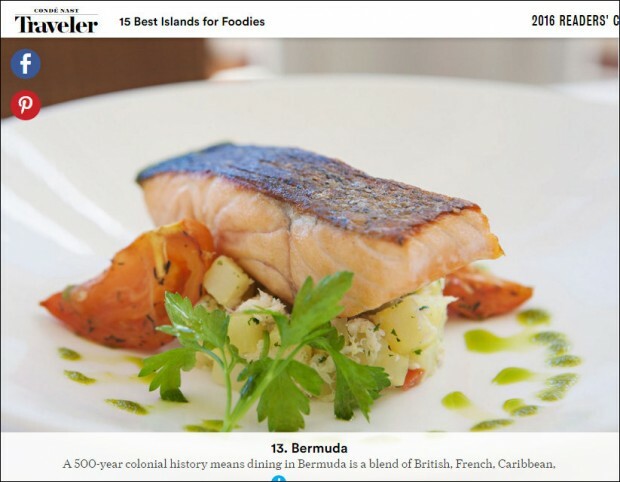 And Bermuda is a very good place for dining. some of the bloggers would have you believe that there is nothing good about Bermy. A triumph of public relations over reality……..
…early American influences,lol….what a joke, everyone knows, The US (unless they meant Mexico or Canada) have no rich history in authentic American food.